Keys have evolved drastically. You might not pay heed to it, but have you taken a closer look at your ignition keys? These aren’t just ordinary keys. Bred out of the dire necessity to cut down incidences of vehicular theft, these are vital components to your security. How, you may ask? Drop by at any hardware store with your home key and you can get an exact replica made. Hand your ignition keys to the same person, and you’re likely to be turned down. These keys are simply built that way and are quite tough to duplicate. All thanks to the car key chips they carry. What are car key chips? 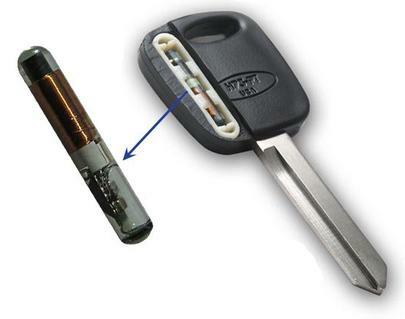 Unlike conventional variants that are cut with specific grooves and notches to open a particular lock, modern vehicles come equipped with a transponder key. In addition to the mechanical complexity of the key blade, these keys contain transponder car key chips that need to be programmed to the exact configuration in order to fire up the engine. This adds a layer of complexity to the duplication process and cuts down the possibility of car theft. Another variant, GM vat keys, contains a resistor chip that needs to carry the precise value to allow the vehicle to start. Typical hardware store technicians cannot help you procure these keys. As mentioned earlier, the technical knowhow needed to make these keys is far beyond the understanding of an amateur. If you contact your dealership, be prepared to splurge a hefty sum to get a replacement/spare. For a better and cheaper alternative, get in touch with us. 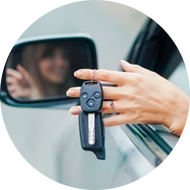 At Akron Locksmith Store , we’ve got a dedicated team of automotive locksmiths with advanced programming knowledge and expertise in working with car key chips. Duplication : A spare might come in handy in case you lost one set of keys. We can clone the existing copy and program the car key chip to allow seamless operation of your vehicle. Replacements : Lost the key? After a collecting a few basic details from you and examining your vehicle, our experts can create an exact replica of the lost key. Reconfiguration : If your key has been stolen, there’s a chance it might be used to operate your vehicle. Do not take chances! We can reprogram the entire system, erase the old key information and input a new one. We’re available 24/7 in Akron, OH area and can develop new keys onsite at pocket-friendly prices. Call 330-558-8822 !